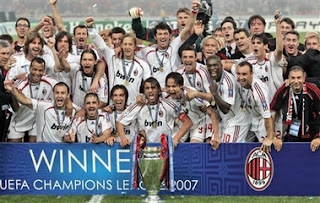 Milan triumphed last night to win their 7th Champions League title, and they also avenged Istanbul. 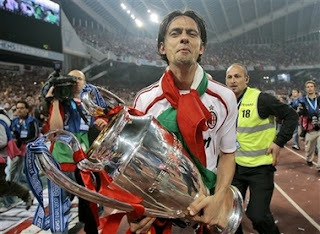 Milan needed to win this to bury their demons from two years ago, which saw a 3-0 lead crushed by Liverpool. The rossoneri took the lead from a Pirlo free-kick that struck Inzaghi and got deflected into the back of the net, wit Superpippo netting his 51st Champions League goal. Liverpool tried to get back into the game but it just didn't seem to work out for the reds until Kaka sent a through ball to an on-side Pippo Inzaghi who sent it rolling und er Pepe's Reina's body, to make it 2-0 with 5 minutes to go. 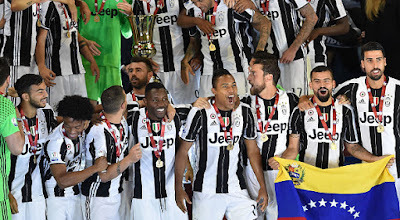 The trophy certainly looked like it was heading toward Italy. But two minuted from time Dirk Kuyt found the back of the net with two minutes to go plus stoppage time, faith that a come back again was certainly buzzing around. However it wasn't to be for the Reds, as the ref blew his whistle and the rossoneri run around celebrating with great joy. Milan had won their 7th Champions League trophy in their history, they had concurred what looked to be impossible at the start of the season. 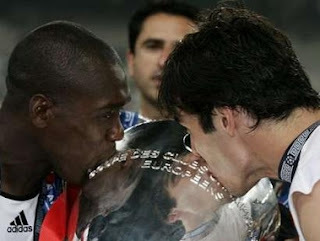 And the avenged Istanbul, Milan are the kinds of Europe! 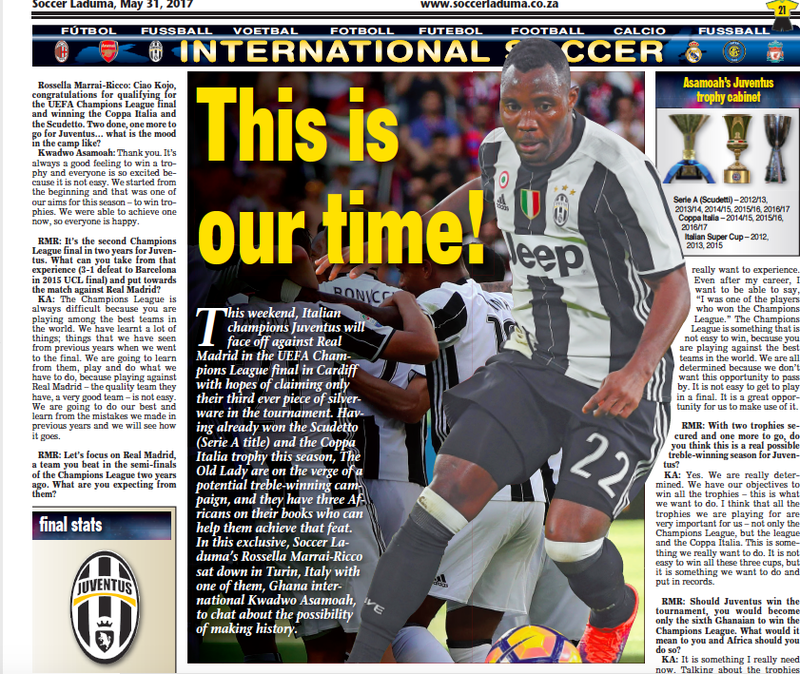 Once again flying the flag for Italian football. 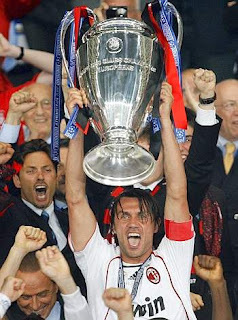 Maldini stepped up t o take the trophy and he lifted it up for the 5th time in his career, bettering the great Gento's of Real Madrid's record. No one deserved this trophy as much as he did, he has been an ambassador to football for over 20 years and a 5th title is the least he deserves. 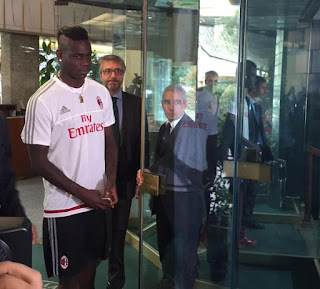 I couldn't be more proud of Milan, and I am SO proud to be a Milanista. Eventually some luck spun our way this season, and it all feels like a dream. Through good times and bad, Sempre una Milanista.